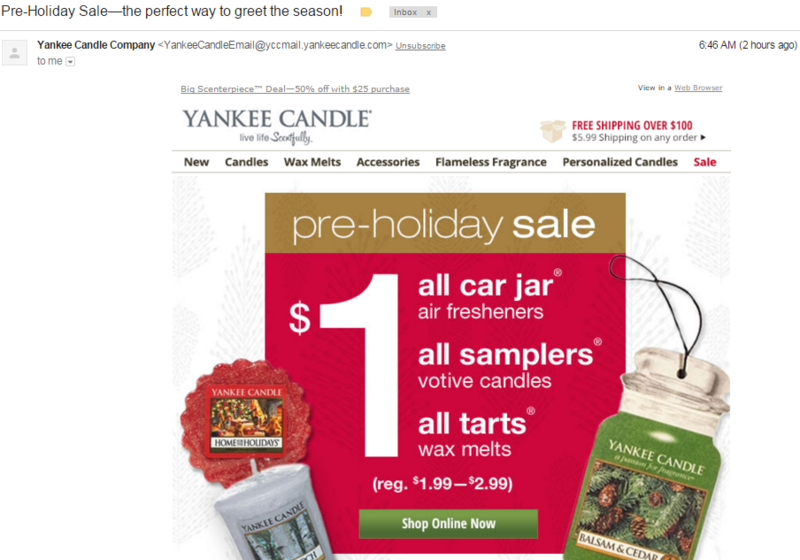 The holidays seemingly start earlier every year, and both consumers and retailers are guilty of supporting this trend. While many consumers start their shopping early to ensure they find the best deals, retailers simply want to maximize their profits by extending the busiest shopping season of the year. Retailers, however, must still be conscious of how they market their holiday promotions so that they don't overwhelm consumers in advance of the season’s official kickoff (Black Friday). American Eagle grabs subscribers' attention by using a promotion in its “Last chance for 25% off + THE only gift guide Yule need” subject line. Once a subscriber clicks the message, they are greeted with links to check out “gifts for her” and “gifts for him.” The message also does a good job at highlighting free shipping for orders over $50. TOMS gently reminds consumers what the holiday season is about with its subject line “Be the reason someone smiles this season.” Once consumers click the retailer’s message, they are also reminded that every time a purchase is made from TOMS the company helps someone in need. 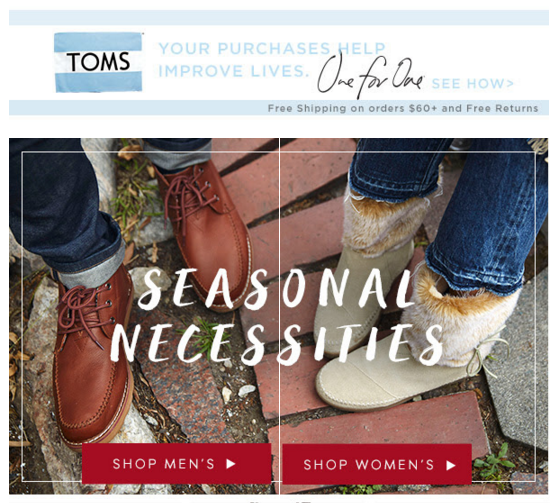 Then, TOMS offers a list of seasonal items to inspire consumers to begin their holiday shopping early. 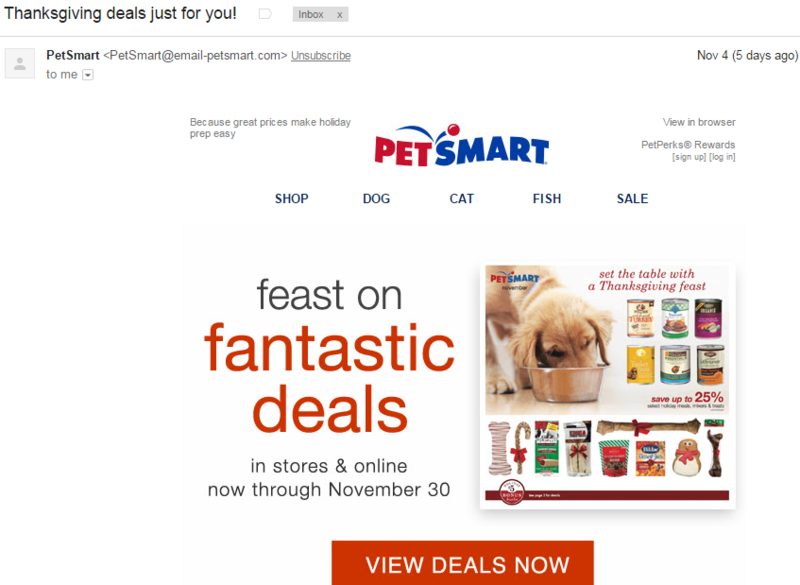 Unlike the aforementioned retailers, PetSmart actually gears its holiday email promotion around the next holiday – Thanksgiving. This is made obvious with the retailer’s subject line “Thanksgiving deals just for you!” Then, inside the message, PetSmart highlights its best deals that are available through Cyber Monday (November 30). Ulta knows that many consumers are going to wait until Black Friday to find the best deals, which is why the retailer offers early-bird shoppers the incentive of earning double points for its loyalty reward program (points can be redeemed for dollar-off discounts) through November 21. 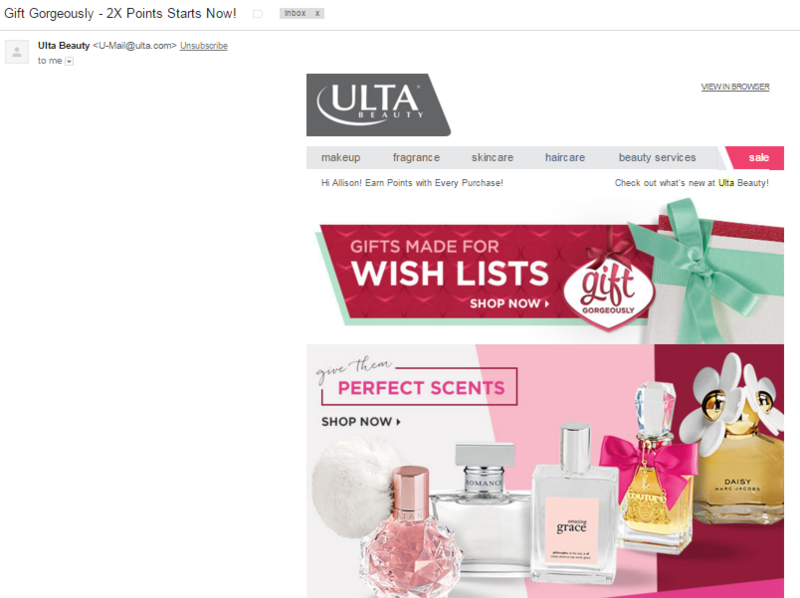 What’s more, Ulta offers a variety of products that make great gift ideas within its email.